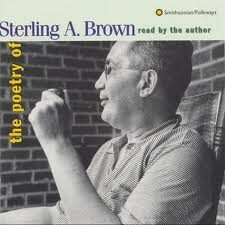 1st 1867 - Howard University is established in Washington, D.C.
1901 - Famed poet, Sterling Brown, is born(d.1989). the Pulitzer Prize for Poetry. 50 patents to his credit, is born, in Ontario, Canada. 1994 - Nelson Mandela is elected president of South Africa. African-American in the U.S. to practice law. 1933 - The "Godfather of Soul", James Brown is born in South Carolina. New Orleans. They were dubbed The Freedom Riders. begins the African-American newspaper, The Chicago Defender. 1795 - The beginning of the Haitian Revolution. 1878 - J.R. Winters receives a patent for the fire-escape ladder. 10th 1837 - Pinckney S. Pinchback, Lt. Governor of Louisiana, is born. excluding African-American from primary voting is illegal. 11th 1807 - Ira Aldridge, the 1st great African-American actor, is born. 12th 1871 - Streetcars de-segregated in Louisville, KY.
1967 - H. Rap Brown replaces Stokely Carmichael as chairman of SNCC. 13th 1888 - Slavery is abolished in Brazil. to join the Davis Cup tennis team. 16th 1792 - Denmark abolishes the Slave Trade. the 1st jockey to win the Derby three times. 1979 - Labor and Civil Rights leader, Asa Phillips Randolph, dies. illegal, in 'Brown vs Board of Education'. doctrines and starting full blood jim crow laws. Malcolm X (little), is born. England, for a term of one year. came to be known as Chicago(d.1808). 1833 - African-American students enroll in classes at Oberlin College. 22th 1948 - Claude McKay, Jamaican poet, dies. 1962 - Patrice Lamumba is assassinated in the then Belgium Congo. 23rd 1832 - Jamaican national hero figure, Samuel sharpe is hanged. after the battle of Fort Wagner. transmitting the 1st formal message between two cities by wire. 1974 - "Duke" Ellington dies of Cancer in Harlem, N.Y.
26th 1799 - Alexander Pushkin, Russian poet, dies. 1899 - Renowned Harlem Artist, Aaron Douglas, is born. 28th 1831 - Eliza Ann Gardner, Underground Railroad Conducter, is born. 1981 - Jazz pianist Mary Lou Wllliams dies in Durham, N.C.
from the University of Alabama. 30th 1822 - Denmark vessey's slave rebellion is crushed. 1909 - The NAACP is founded. 1962 - Edward Franklin Frazier, historian and educator, dies. African-Americans confined to prison camps.